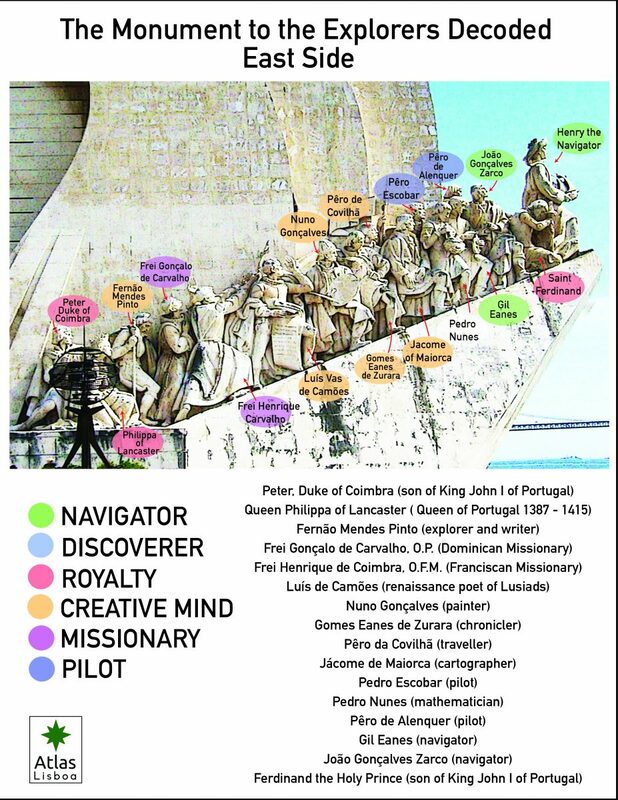 The Monument to the Explorers is one of the most visited structures in Lisbon. Most people who are in Lisbon even for a day get to see it, but does anyone actually know who those dudes flanking the sides are? Neither did we. We did some exploring of our own to find out. 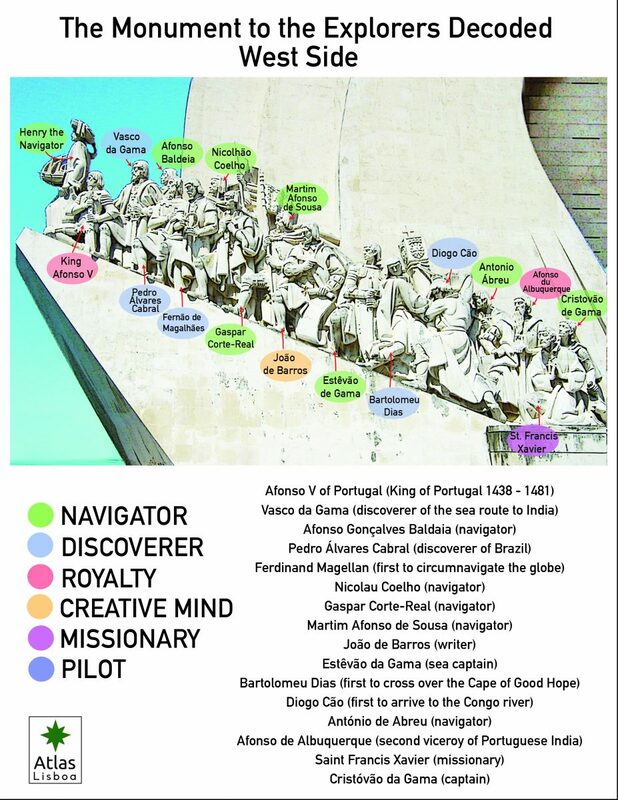 The monument sits right at the place where the ships of the Age of Discovery departed Lisbon to explore the world and to establish trade routes to India and the Orient during the 15th and 16th centuries. A compass rose and mappa mundi in beige, black, and red limestone lays just in front commemorating the achievements of the Portuguese discoverers on the high seas. 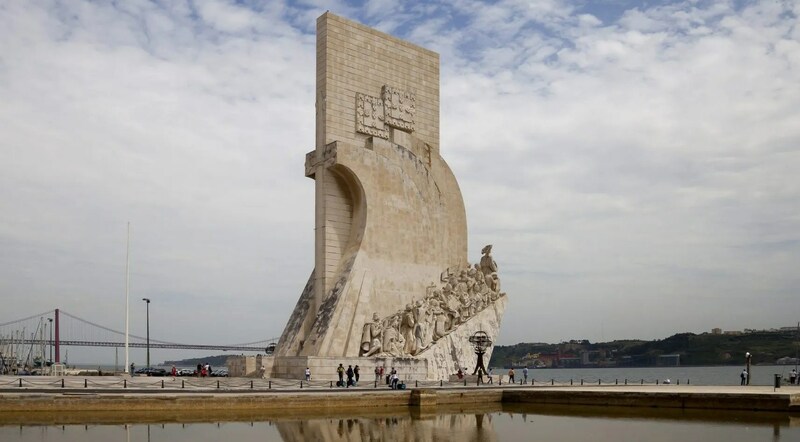 The monument was originally designed by the architect José Ângelo Cottinelli Telmo and sculptor Leopoldo de Almeida for the Portuguese World Fair in 1940, under the regime of Salazar. Originally located in Praça do Império, it had a much smaller scale as it was intended to be temporary. Three years after the fair ended, it was demolished. Years later, the Camara Municipal and the Ministry of Public Works joined forces to rebuild the lost monument. From 1958 to 1960, the new version was constructed in cement and rose-tinted stone from Leiria with statues sculpted out of limestone excavated in Sintra. The new structure was enlarged from the original to celebrate the fifth centennial of the death of Henry the Navigator. But it wasn’t until 1985 that the access stairs to the top were completed.